The Canary Islands tourism authority claims the islands have the ‘best climate in the world’ – and it is hard to dispute. They get an average of 21°C year-round, and over 2,800 hours of sunshine a year. That’s over 1,400 more than the UK! You can see why this area is so popular with expats, especially when you add in the island lifestyle: easy access to the beaches and sea and plenty of fascinating towns and villages within a short drive wherever you are. 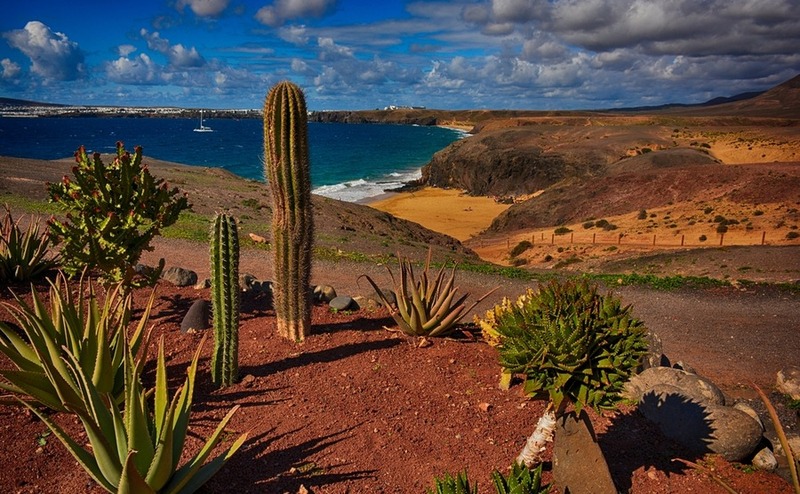 What is life like on the Canary Islands for expats? The Canaries have had a British population since the 1800s, many drawn by its reputedly healthy sea air and mild climate. Some things never change! Around 5% of British expats in Spain now live on the islands. The local lifestyle is above all relaxed and laid-back. With year-round heat and countless beautiful beaches, you’ll never be short of places to kick back in the sun. Canarians still have strong local artisanal traditions and this is evident in the many markets to be found across the islands, selling handicrafts and produce such as honey, cheese and wine. The Mercado in Teror, held just outside its beautiful church, is the oldest on the island. You’ll find over 140 stalls selling a fantastic range of produce and goods, including chorizo de teror. What about if I’m moving with children? The islands are a fantastic place for children – the sunny climate means they’re much more likely to be outdoors and active than back in the UK. Plus, it’s an extremely safe area: the crime rate is several points below the national average. As for schooling, you’re spoilt for choice. If you’re staying long-term or moving with young children, local schools are often the best option. That way, your children will soon become fluent in Spanish. For older children who might struggle with language, there are a number of international schools, mainly on Gran Canaria. Some of the biggest ones include the British School of Gran Canaria and the American School of Las Palmas. How easy is access to the Canaries? As you’d expect for a major holiday destination, there are plenty of flights between the Canary Islands and the UK and Ireland. Airports in Tenerife, Lanzarote, Gran Canaria and Fuerteventura all fly to major cities, including London, Edinburgh, Cardiff, Belfast, Birmingham, Bristol, Glasgow and Manchester. Irish cities served include Dublin and Cork. Ferries link the islands themselves, with fast ones between Tenerife and Gran Canaria taking about an hour. What is healthcare access and facilities like? You can rest assured of excellent service in Spain. Its healthcare is considered world-class and generally outranks the UK in most major listings, including the WHO. One concern of island life for many is poor access to healthcare facilities, but you needn’t worry on the Canary Islands. There are over eleven hospitals in the region, with at least one on every main island. Find out more about medical care overseas with our free guide, Healthcare Abroad 2018. 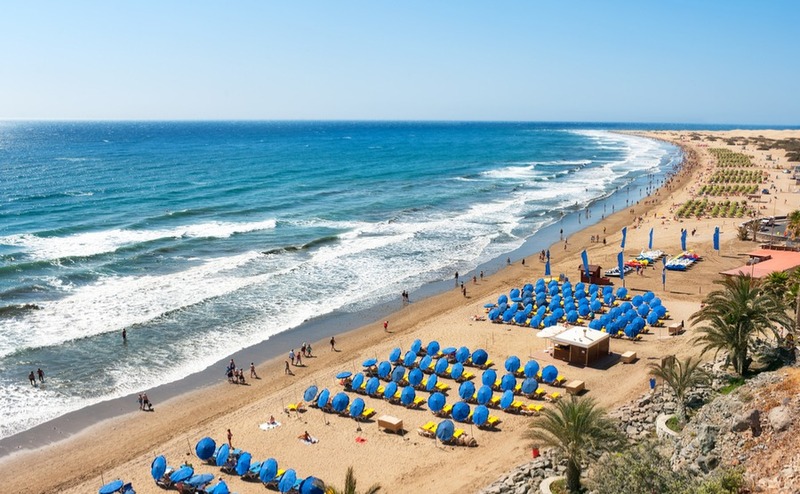 Where are the best places to live in the Canary Islands? For British expats moving to these sunny islands, you’re faced with a barrage of choices. It can be hard to narrow it down, but taking time to decide on what lifestyle you want, to write out your budget and to decide whether you want to live in a more local or resort-like area will help to pinpoint the perfect place for you. Here are our top areas in the region’s main islands. Tenerife is the largest of the Canary Islands and has plenty of fantastic towns and villages to pick from. Tenerife is the largest of the islands, with the highest population. Climate-wise, the whole island enjoys year-round sun, but you’ll find it much drier and less windy in the southeast. Generally, the interior is much less densely populated than the coast. Many people looking for space therefore head inland a little – you’re still not far from the beach. Chayofa sits just inland from Costa Adeje, and is known as the ‘garden city’ for its greenery. Nearby is El Puertito, a charming little village directly on the sea. The beach is rather small and not particularly sandy, but this has meant that the big hotel developments have stayed away. Los Cristianos is a great choice for a more bustling lifestyle, and has a large, sweeping beach. Further north, Los Gigantes is known for its natural rock formations (hence the name ‘the giants’). This is largely a resort town, with an unusual black sand beach. 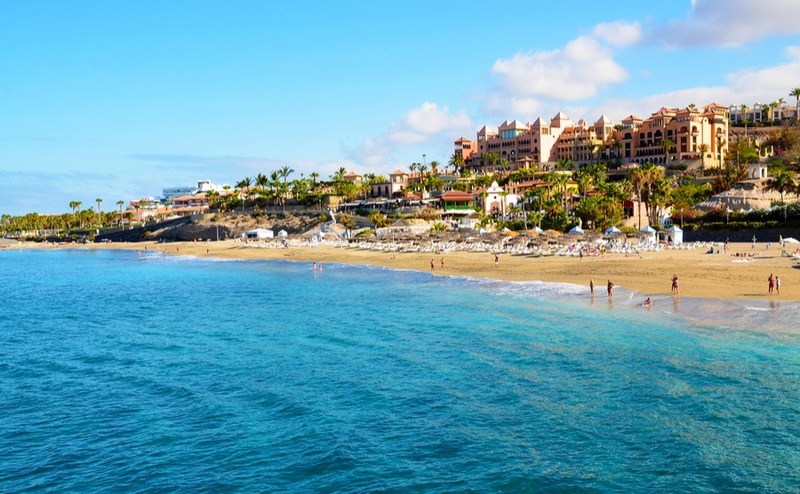 Resorts like Playa del Inglés are perfect to set up your new life in the Canary Islands with the minimum of hassle, as you’ll have everything on your doorstep. This is a very historic island, being the first of the archipelago to be settled. The city of Las Palmas de Gran Canaria’s old town is a fascinating place for a wander, with sights including the Santa Ana Cathedral, the Columbus House and the Pérez Galdós Theatre. In the south, resort towns like Playa del Inglés offer everything you could want entertainment-wise on your doorstep: restaurants, bars, the beach (and English is widely spoken). For a more ‘local’ experience, it’s better to head north. Agaete is a fishing village sitting just by the Tamadaba Forest, in much greener surroundings than the rest of the islands. If you’re looking for rural living, try the hill town of Fataga, voted one of the most beautiful in Spain. Do note that if you’re looking to buy apartments to let out as holiday rentals, there are currently laws under consideration to ban this in Gran Canaria. Among the Canary Islands, Lanzarote perhaps has the most unusual landscape. Lanzarote’s one of the most unique islands in the archipelago. Its countryside is dotted with 300 volcanic cones and the soil is dark black and red. The whole island is a UNESCO biosphere. An almost complete lack of vegetation give it a unique look, sometimes described as ‘moon-like’. Beach lovers will be in their element in Playa Blanca, which sits on a stunning, long beach. Nearby is also the rural beach of Papagaya, one of the most unspoilt on the island. For more urban living, try Arrecife, the island’s capital. It has a bustling centre around the pedestrianised Calle Leon y Castillo. It also has its own beach, the Playa del Reducto. The north of the island, above Teguise, is mainly less tourist-oriented and more unspoilt. Caleta de Famara in the northwest has a large beach with a few new developments and an older village further up the hill. However, as it faces the Atlantic, it is windier than the east coast. Speak to estate agents who know the area and can help you find your ideal properties. Arrange a viewing trip to go and see several properties in one go and get a feel for them in real life. Get in contact with a solicitor to make sure you know all the legal hoops you need to go through when purchasing in the Canary Islands. Speak to a currency specialist in advance of your viewing trip to make sure you already know how you’re going to transfer money without exposing it to the changing exchange rates you’ll get by doing it last-minute through the bank. 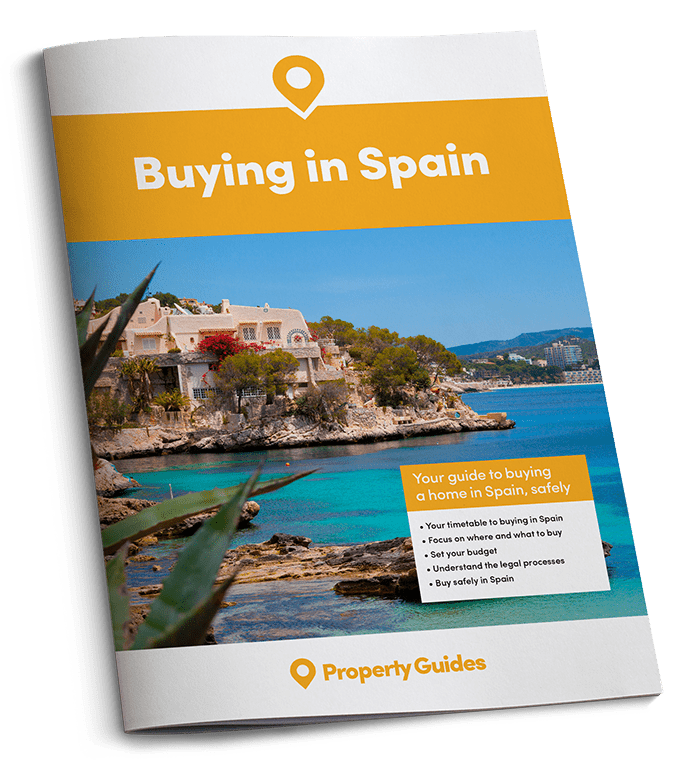 And to find out more about the legalities and financial aspects of buying over here, download your free, comprehensive Spain Buying Guide below. 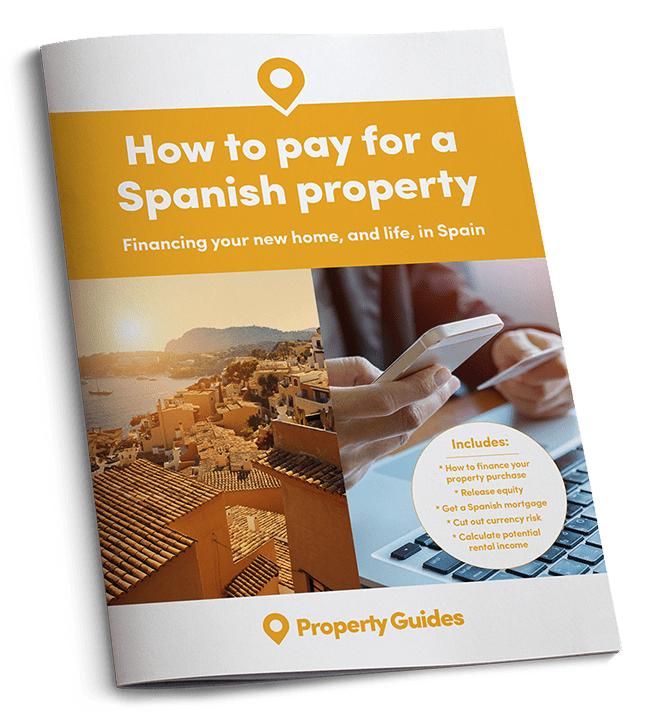 If you have any questions, please do call the Resource Centre on 020 7898 0549 or email them at spain@propertyguides.com.